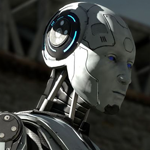 In this Live Stream I continue playing The TALOS Principle. This game is getting hard very quick. I beat parts A3 and A4, while finding a few stars. The difficultly is definitely ramping up very quick in this puzzle game. There was one particularly awesome people that was very interesting to solve.